Industrial rack-mount storage servers offering up to 24 hot swap drives bays with RAID and redundant power for enhanced reliability. 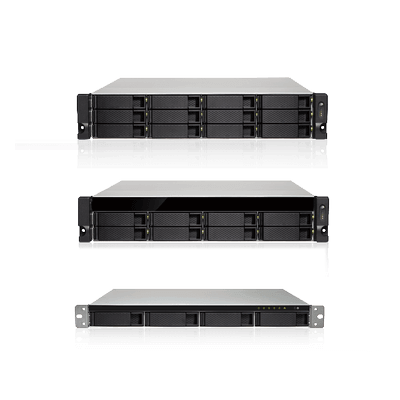 Take a look at some example rack-mount PCs below, or contact one of our team to learn more. 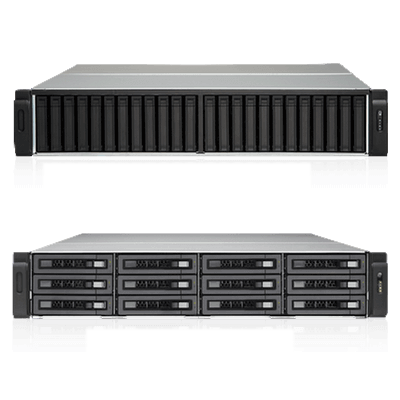 The GRAND-AL is a rackmount storage server that easily fits int o a standard 19-inch rack, providing an ideal storage solution in the server room for small and medium businesses. Powered by a high-performance AMD R-Series quad-core processor with up to 64GB DDR4 RAM, the GRAND-MF provides two M.2 SATA 6Gb/s SSD slots that allows the greatest flexibility in tiered . . . Suited for enterprise environments which demand the highest performance, simplified IT management, uninterrupted service, and optimized virtualization environments, the GRAND-C610 is designed with high-standard hardware specifications to meet those needs. 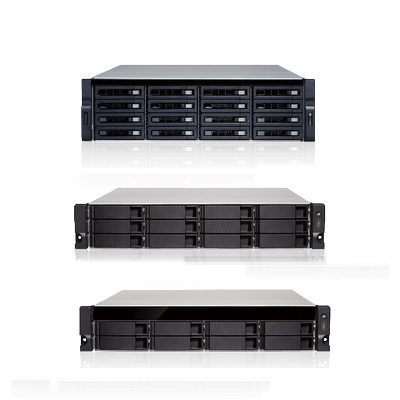 The GRAND-SE is designed for small and medium-sized businesses looking for backup, restoration, private cloud, storage for virtualization, and to future-proof their IT infrastructure for 10GbE networks. Powered by an advanced 14nm Intel® Xeon® D 64-bit SoC processor, up to 128GB DDR4 ECC RDIMM RAM / 64GB DDR4 non-ECC UDIMM RAM, and the 12Gb/s SAS-enabled GRAND-BDE delivers . . .